Last night, I started off some fruit kimchi based on the recipe in the Wild Fermentation book. Ingredients-wise, it’s very much like a vegetable kimchi, but using fruit. 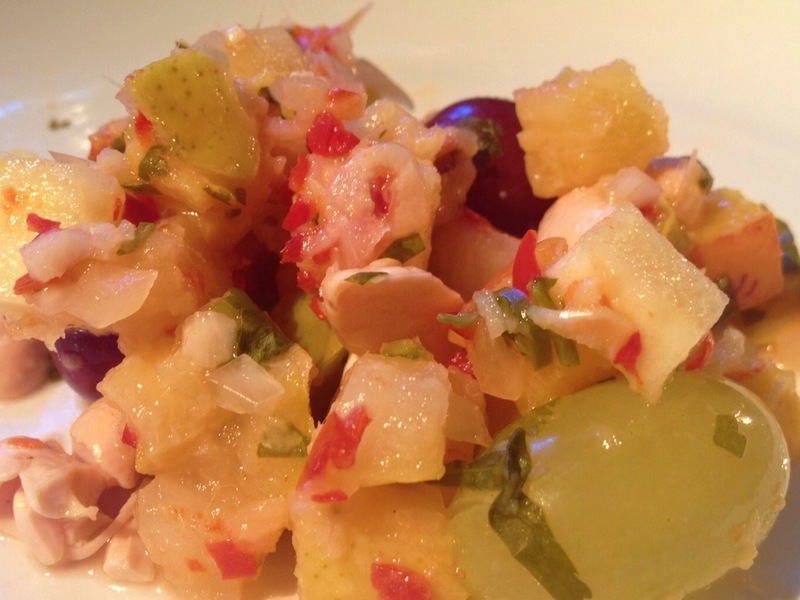 In this one, there’s pineapple, apples, pears, plums, grapes, coriander and a handful of cashew nuts, together with the usual kimchi flavourings of salt, garlic, ginger and chillies. I’ve not tried this before, so I’m not entirely sure how it will turn out, although the sneak taste this morning was rather nice, even though it hasn’t had chance to ferment yet. It now needs a week, maybe two, sat on the side in the kitchen before it’s ready. I’ll be sure to report back. 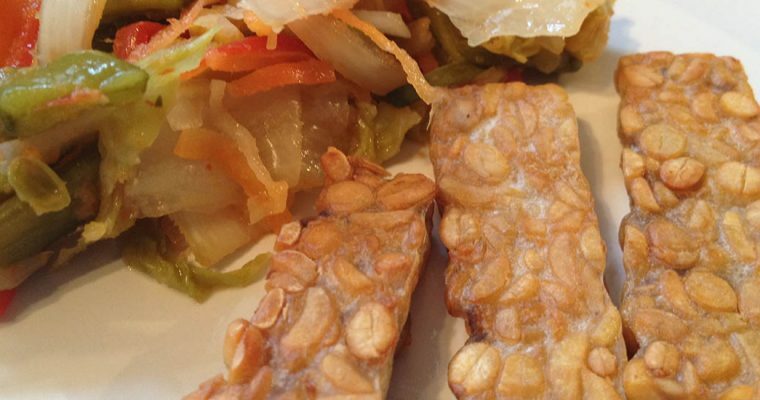 Lunch today was slices of tempeh, fried in a little coconut oil, and served with a healthy dollop of kimchi on the side. 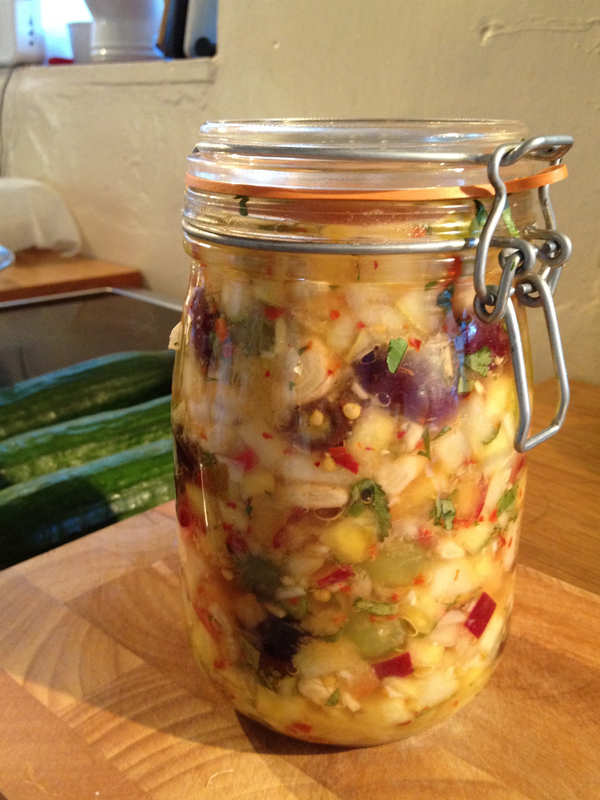 All home-made fermented foods, and utterly delicious.